HONDA CIVIC 1.4 1.8 2.0 tipo R FD FK 2005-2012. HONDA CIVIC MKVII HATCHBACK FD/FK 1.4, 1.8, tipo R, 2.2 CTDI. Si sta acquistando 1 mano sinistra & 1 destra lato inferiore bracci 2 bussole che si adattano nel braccio. HONDA CIVIC 1.4 1.8 2.0 TYPE R FD FK 2005-2012. 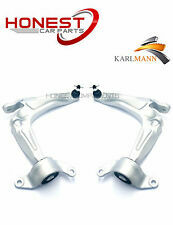 Front Lower Suspension Wishbone Arms. HONDA CIVIC MKVII HATCHBACK FD/FK 1.4, 1.8, TYPE R, 2.2 CTDI. 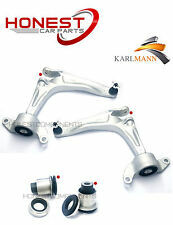 You are purchasing 2 Front Lower Suspension Arms Left and right. CIVIC MK7 (2000-2005). Manufacturer Part Number 077800-0682. Other Part Number 077800-0682. OLD PART CAREFULLY. HONDA CRV 2002-2012. NEW BLOWER FAN MOTOR HEATER RESISTOR. HONDA CIVIC 2001-2005. 2006 MK8 Honda Civic HEATER BLOWER MOTOR RESISTOR. OE Factor Number - 79310SMGE41. This is for the motor only as the fan blades had a crack on it. Please make sure part is correct before purchasing. We try to describe our parts as honestly as we can, however please also see our images in case we have missed anything. Any questions please ask. International buyers please contact us for price and availability of postage to your location. Removed from below vehicle -. REMOVED FROM HONDA H-RV EX I-DTEC 1.6 DIESEL,5 DOOR,2017 YEARS,120 BHP,6 SPEED MANUAL GEARBOX,ENGINE CODE N16A3,PAINT CODE NH821M. MY AIM IS TO MAKE SURE YOU ARE ALWAYS 100% HAPPY! 9.2108 Ventola abitacolo elettroventola interna ST HONDA CIVIC VI Fastback (MA, MB) Diesel 1994>2001. HONDA CIVIC VI Fastback (MA, MB) 2.0 i TD (MB7) 1994 01/1997>02/2001 86 63 20T2R. Prodotti originali e nuovi. 2015 Honda HR-V 2015 On SE Navi i-DTEC 120 1.6 6 Speed Manual Diesel 5 Door Hatchback Heater Blower Motor All of our mechanical and electrical parts come with a 3 month warranty as standard, this covers the part itself but does not cover any labour charges incurred from fitment or removal of the item. (Terms and Conditions Apply). For extra peace of mind, extended warranties are available upon request at an additional charge. For more information please message us. Please be aware that all our items are removed from right hand drive vehicles unless otherwise stated. If you are unsure if this item will fit your vehicle or if you have any other questions then please call our parts department who will be happy to help. If you have any problems at all then please message us through eBay and we will happily help to resolve any issues. Heater blower motor fan. -All the parts are from UK which are RHD vehicles, we can not promise that the parts will fit LHD vehicle. For Sale is a 2005 HONDA ACCORD 2204cc Diesel Heater Motor/Assembly Blower Fan Assembly. Part Number:1940001720. Removed from a 2005 HONDA ACCORD 5 Door Estate with Air Con. Please see the item description for more information, you will receive everything you see in the images. REMOVED FROM HONDA CR-V SR 1.6 I-DTEC 2017 YEARS,160 BHP,6 SPEED MANUAL GEARBOX,ENGINE CODE N16A4,PAINT CODE B570M. MY AIM IS TO MAKE SURE YOU ARE ALWAYS 100% HAPPY! For Sale is a 2013 HONDA JAZZ 1339cc Petrol Heater Motor/Assembly Blower Fan Assembly. Part Number: PP-TD20. Removed from a 2013 HONDA JAZZ 5 Door Hatchback with Air Con. Please see the item description for more information, you will receive everything you see in the images. MG ZS Hatchback·(Bj. 2001-2005). MG ZS·(Bj. Civic VI Fastback·MA, MB (Bj. 1994-1997). 1994-2001). Rover·400 Hatchback·RT (Bj. 1995-2000). Fits:-Honda CR-V Mk2 models made from:- 2003 to 2007 with part number:- 194001600. For Sale:-Honda CR-V Heater Blower Motor. Wing Mirror. Dedicated Support. You won't find cheaper prices anywhere! High quality products at amazing prices. Part number: 3G700. Item: Genuine Honda Civic Mk7 2001-2005 Reg Heater Blower Fan Resistor Rheostat A/C. Parts: Removed from a 2003 reg Honda Civic Mk7 1.6 petrol 3 door hatchback model that we are currently breaking for parts. Front Lower Wishbone Arm Bushes x2. Front Anti Roll Bar D Bushes x2. The wishbone bushes fit into the middle of the wishbone arms. The front d bushes are handed. HONDA CIVIC 1.4 1.8 2.0 TYPE R FD FK 2005-2012. Model:Civic MB MB4 MB6. 1 x Blower motor. Open Mon-Sat. All Unwanted Vehicles Bought. South Hams Car Spares. We are breaking 100's of different vehicles, with many parts on the shelf. MG ZS from 2001 to 2005 - Petrol Diesel Models. MG ZR from 2001 to 2005 - Petrol Diesel Models. HEATER RESISTOR FOR MG ROVER HONDA CIVIC. 1x Heater Resistor For MG Rover Honda. 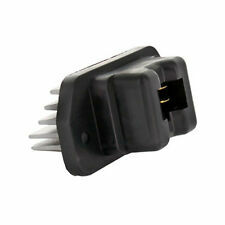 Once connected, this resistor will bring your heating system back to live. From 2002 Honda Jazz. This is from a U.K. Car. (2) Fault or failure of an ancillary component, for example a radiator, timing belt, water pump, fuel injection system, turbo, coolant, gasket, hoses, etc. ITEM HAVE USAGE MARKS. ITEM MUST NOT HAVE BEEN USED. HEATER BLOWER FANIN GOOD WORKING CONDITION. OTHER OFFSHORE LOCATIONS. THE SCOTTISH HIGHLANDS AND ISLANDS,NORTHERN IRELAND AND. MG ZS 1/ 2004 - 10/ 2005 Diesel: 2.0 TD 20 T2N. MG ZS 7/ 2001 - 10/ 2005 Petrol: 1.6, 120, 180 16 K4F, 18 K4F, 25 K4F. Heater Blower Fan Resistor. Equivalent Part Numbers: HONDA: 79330-ST3E01, HONDA: 79330ST3E01, MG: JGH10002, ROVER: JGH10002. Heater Blower Fan Resistor. Use the table above to see if your car matches the specification. Warranty: 5 Year Extended. MG ZS 1/ 2004 - 10/ 2005 Diesel: 2.0 TD 20 T2N. At AMS we know how difficult buying car parts can be, but we do everything we can to make it as easy as possible. Arran - KA27 KA25. Oban - PH 33, PA20-49, PA60-80, KA28. Inverness -ALL. Orkney and Shetland - Orkney KW15-17 and Shetland ZE1-3. FOR RIGHT HAND DRIVE VEHICLES. IF PARTS COMPATIBILITY IS LISTED THEN IT IS ONLY TO BE USED AS A GUIDE. HONDA JAZZ 1.4 LITRE PETROL 2009 MODEL. HEATER BLOWER MOTOR. 5 DOOR HATCHBACK 5 SPEED MANUAL. ENGINE CODE - L13Z1. South Yorkshire. The Blue Containers. AJ SPARES is a large independent Vehicle Dismantlers. Heater Resistor Blower Fan. Honda Civic MK IV 1/ 1997 - 2/ 2001 Diesel: 2.0 TD 20T2R. Honda Civic MK IV 1/ 1997 - 2/ 2001 Petrol: 1.8, 1.5, 1.6 B18C4, D15Z8, D16B2. Equivalent Part Number(s): HONDA: 79330-ST3E01, HONDA: 79330ST3E01, MG: JGH10002, ROVER: JGH10002. 1996-1998 HONDA CIVIC SUB-FILO RISCALDATORE VENTILATORE (A) OEM 32157-S04-A00. Honda Civic 4AT DX 2 porta 1996, 1997, 1998. Honda Civic 4AT DX 3 porta 1996, 1997, 1998. Honda Civic 4AT DX 4 porta 1996, 1997, 1998. 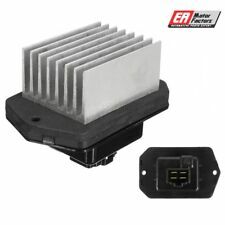 Compatible with Honda Civic 2006-2011 MK8 (LHD). Hond a Civic Blower Motor Heater Fan. (For Left Hand Drive version only). Acura CL 4AT BAS 2.2 1997. Acura CL 4AT BAS 2.3 1998. Acura CL 4AT BAS 3.0 1997, 1998. Acura CL 4AT PRE 2.2 1997. Acura CL 4AT PRE 2.3 1998, 1999. Acura CL 4AT PRE 3.0 1997, 1998, 1999. Acura Integra 5MT RS 1994, 1995, 1996, 1997, 1998, 1999. HEATER MOTOR REMOVED FROM A 2002 HONDA JAZZ. WE WILL DO OUR BEST TO RESOLVE THE ISSUE. WHEN WILL MY ITEM ARRIVE?. GLASS AND BODY PANELS. Make sure you are buying the correct item as it is your responsibility to make sure the part you are buying will fit your vehicle. NUOVA RESISTENZA SOFFIANDO MARCHIO. EAN 3800992120727. Colour Black. Unit Quantity 1. Reference OE/OEM Number 1468105350. Reference OE/OEM Number 79330SR3A01. Reference OE/OEM Number 79330SH3003. CIVIC MK9 1.8 I-VTECH 2015 HEATER MATRIX BOX 7902ATV1B520. All Engines. When buying a vehicle engine you are buying the engine only. All ECUs, MODULES and electrical goods are tested prior to being dispatched. HONDA JAZZ GD MK1 01-08 HEATER BLOWER MOTOR FAN. We are Breaking a 2002 Honda Jazz i-DSI S GD (Pre-Facelift). Shelf Location: heater blower motor. 1.4L (1339cc) Petrol 81.8Bhp 5Door Hatchback 5 Speed Manual RHDAir Con: No.